Mad about Patchwork's January 10% of Kona bundle is this beautiful Mystical Spectrum bundle. Fabric Spark has a new Monthly Rainbow Club! 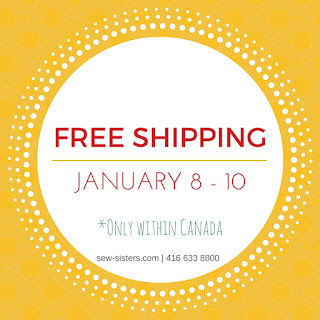 There is free Canadian shipping at Sew Sisters Quilt Shop! Green Fairy Quilts has Jelly Rolls at 30% off with the code 3ROLLS at checkout. 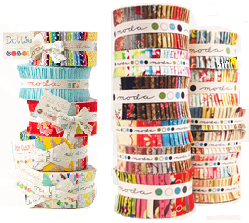 Moda Bella Solids are 20% off for all of January at the Fat Quarter Shop. Oakshott Fabrics has beautiful colours of shot cottons available.